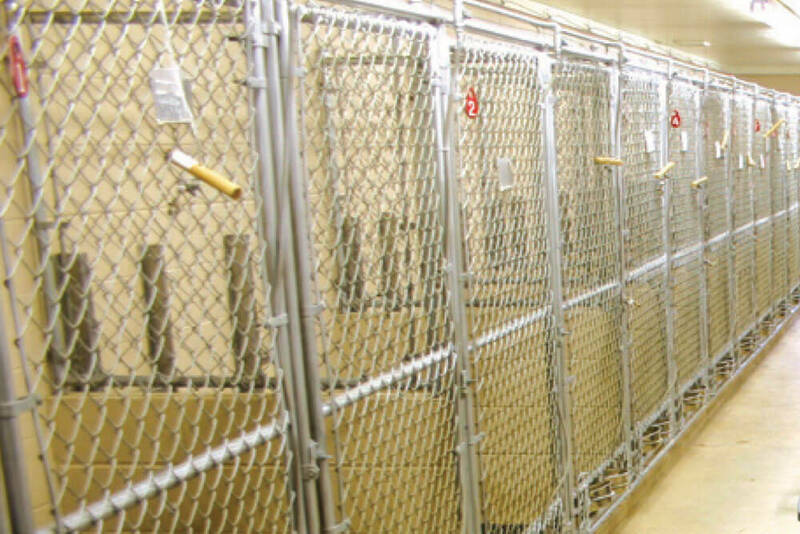 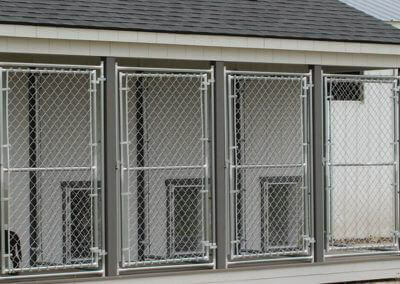 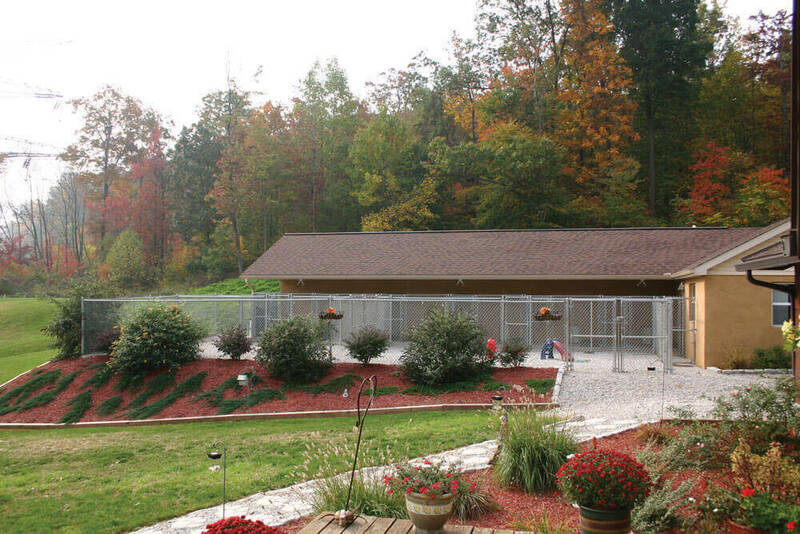 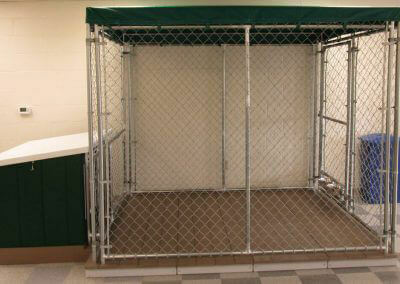 Master-Link wire dog kennels are available with a galvanized finish or a powder-coated finish. 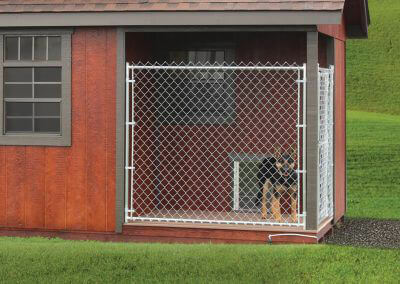 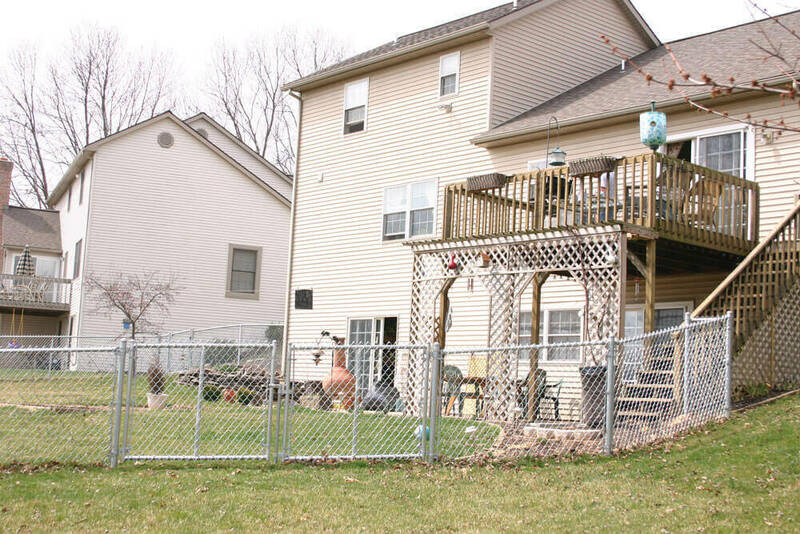 Both of these coatings provide a rust-free space for your dog. 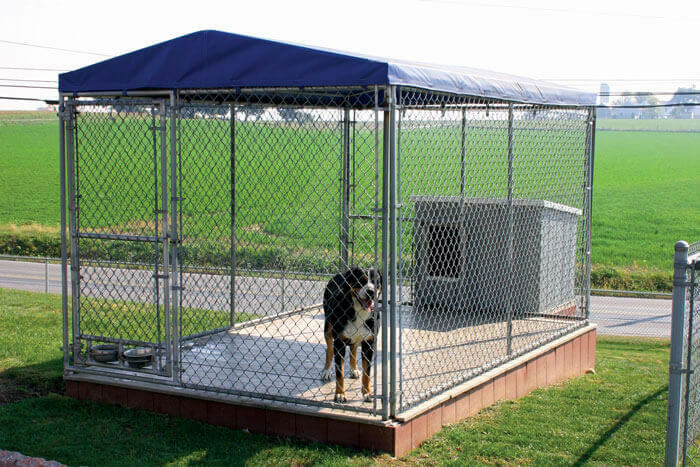 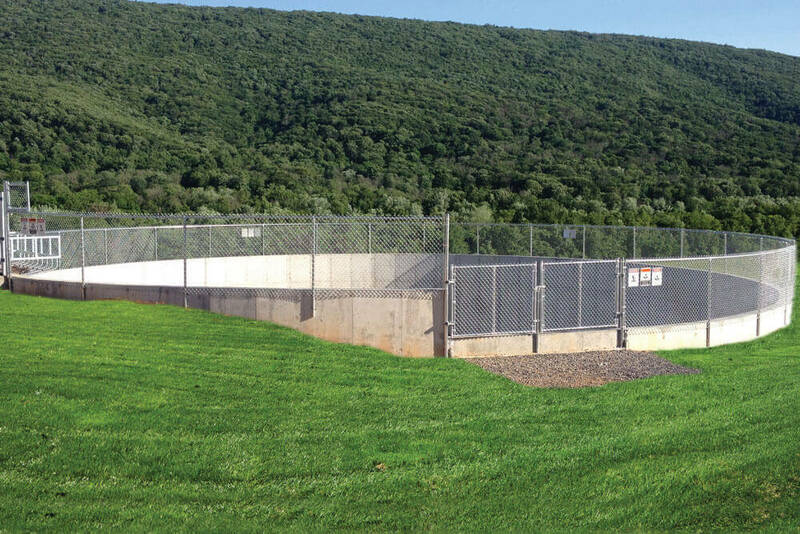 On galvanized kennels, the welds are protected with a galvanized coating, while the powder-coated kennels have the protection of industry standard coating that resists both chipping and peeling. 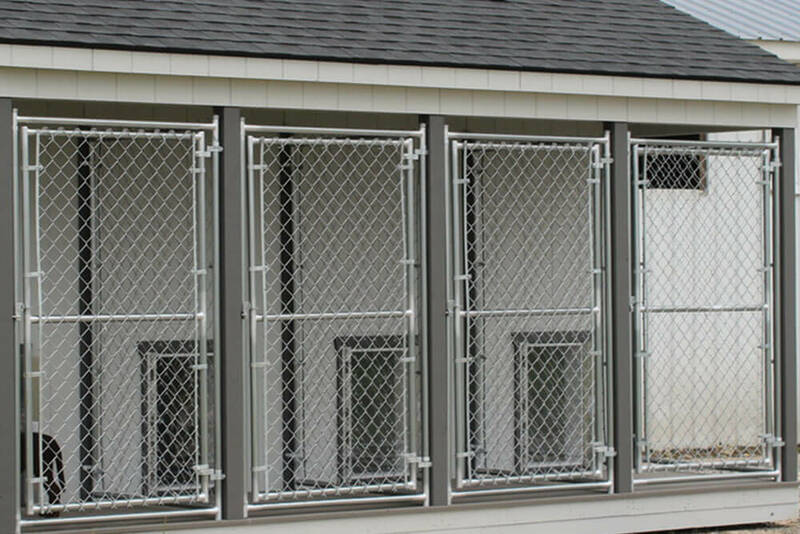 These lasting coatings, together with quality building materials and workmanship, result in a kennel that will hold up for years. 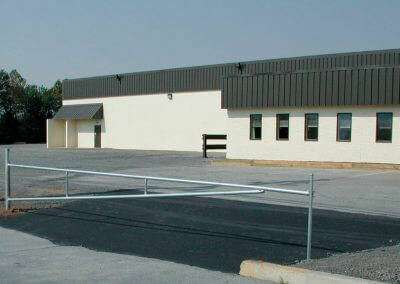 Poly lumber flooring is a low-maintenance lumber. It withstands the weather, cracking, rotting and more. 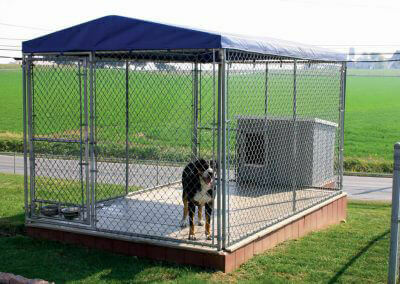 An optional awning can be added to help keep the dog kennel cool and dry. 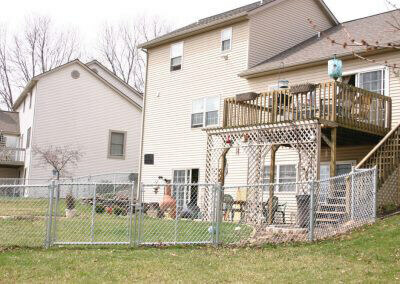 Additional rafters support the weight. 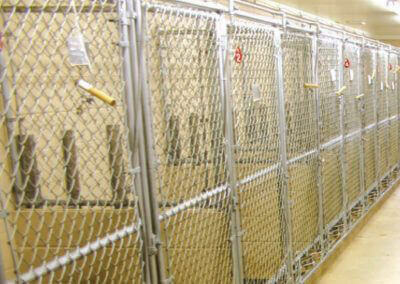 Without much more effort, an opening can be added to the wire kennel. 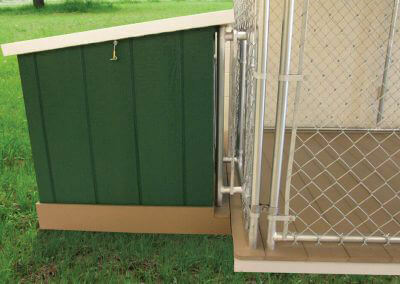 This makes it easy to mount a dog box. 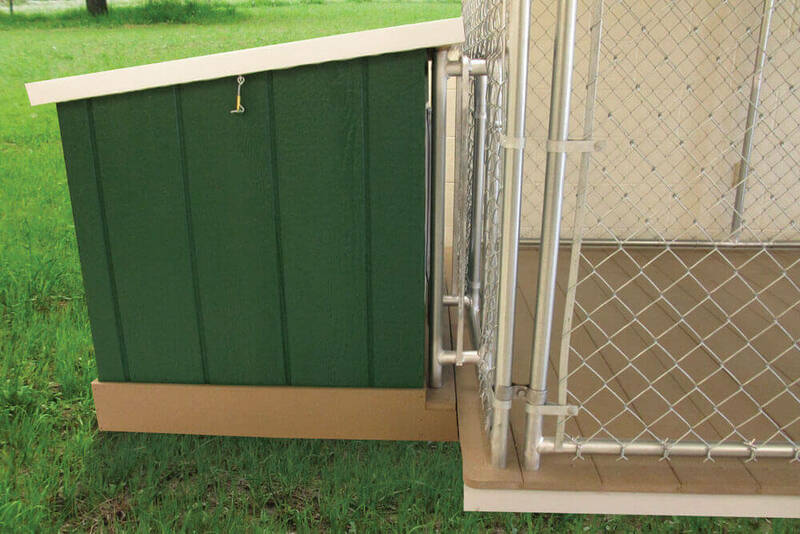 To make it easy and convenient to provide water and food for your dog, we add a slot in the front for feeder bowls. 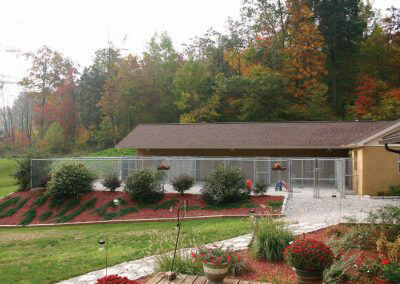 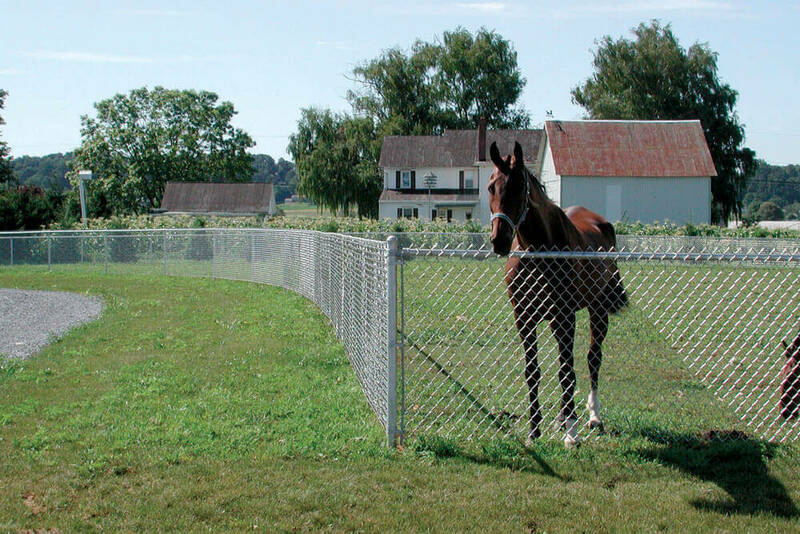 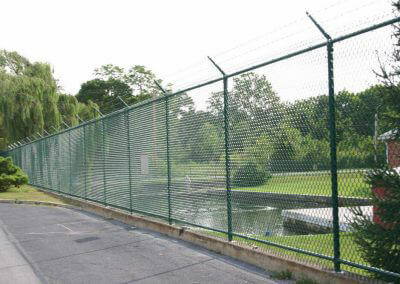 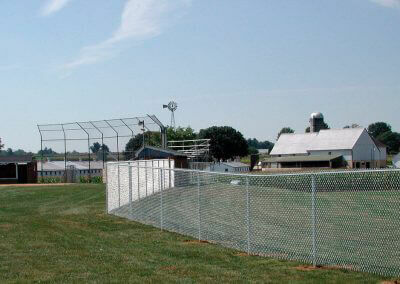 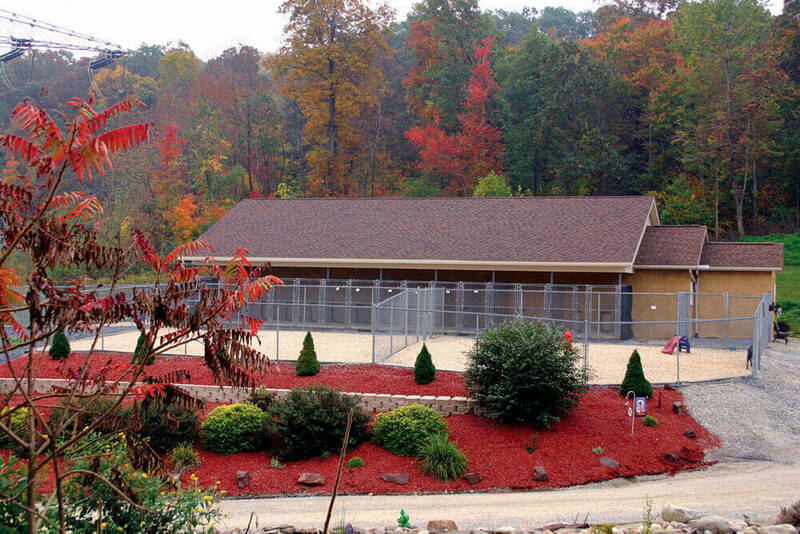 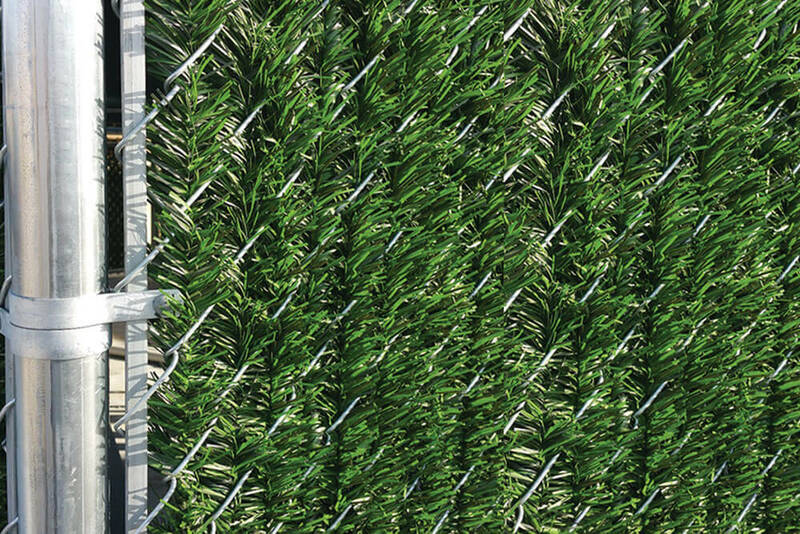 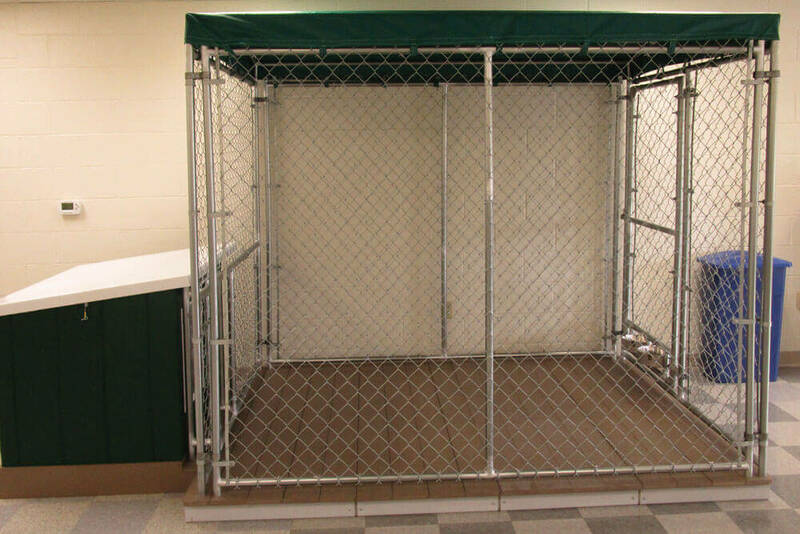 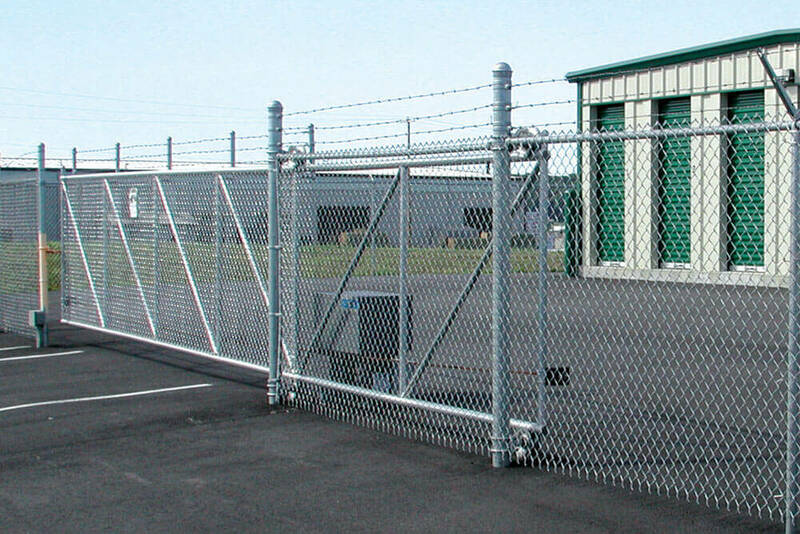 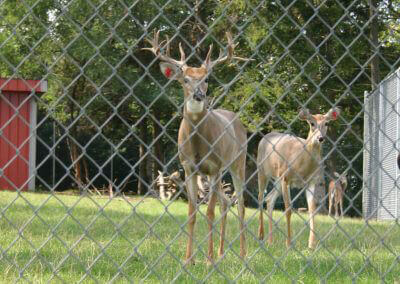 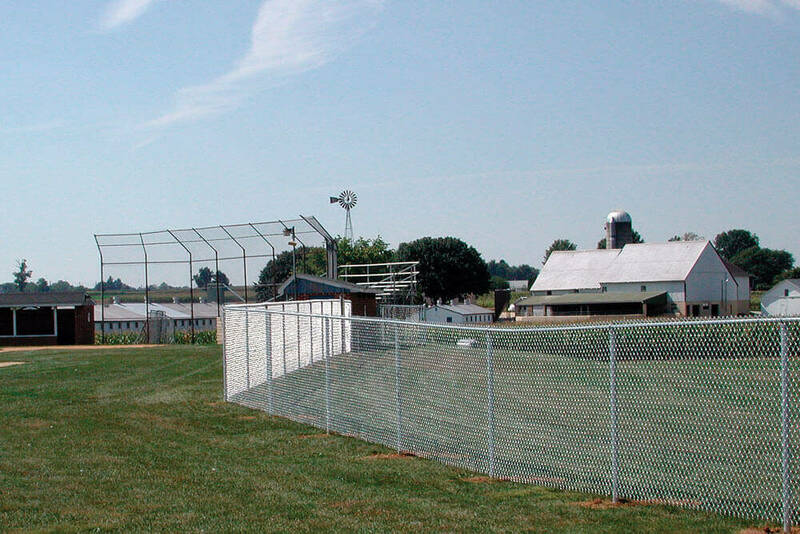 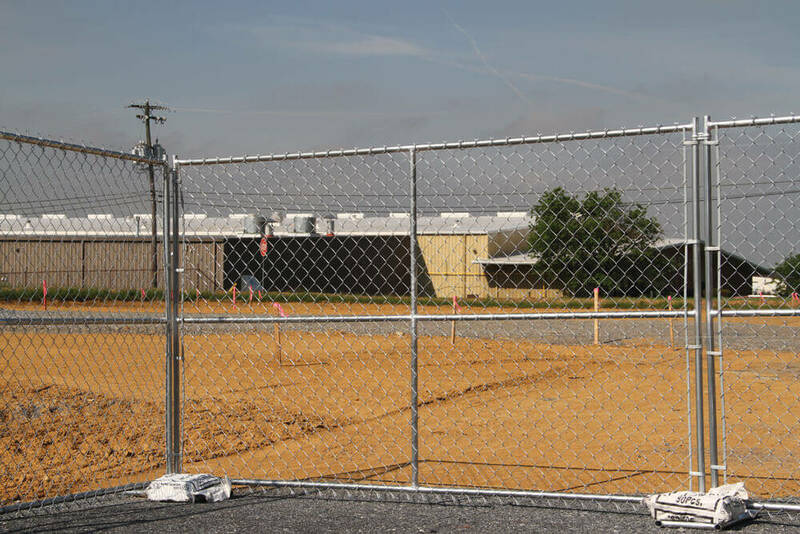 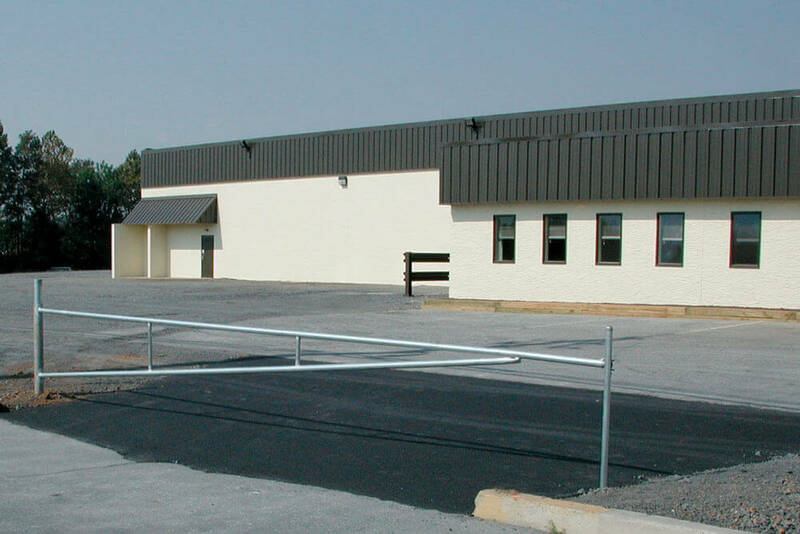 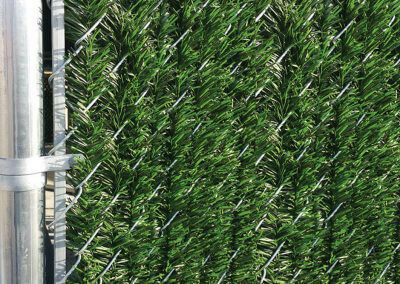 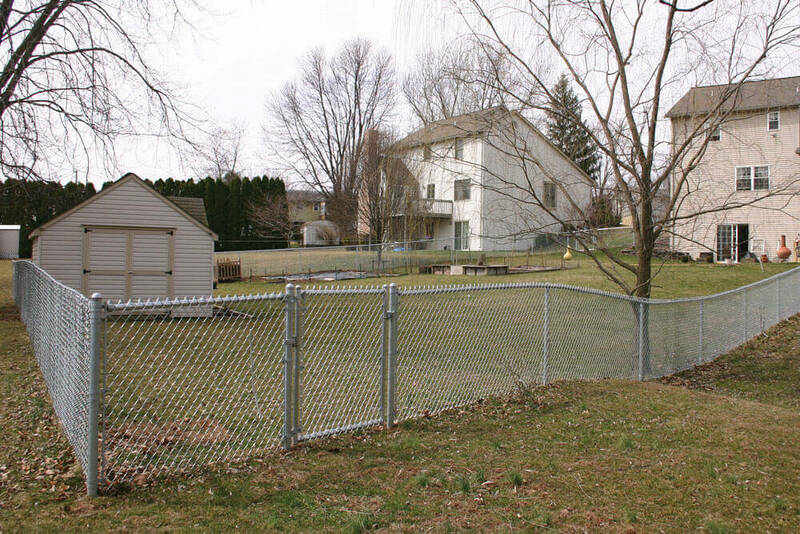 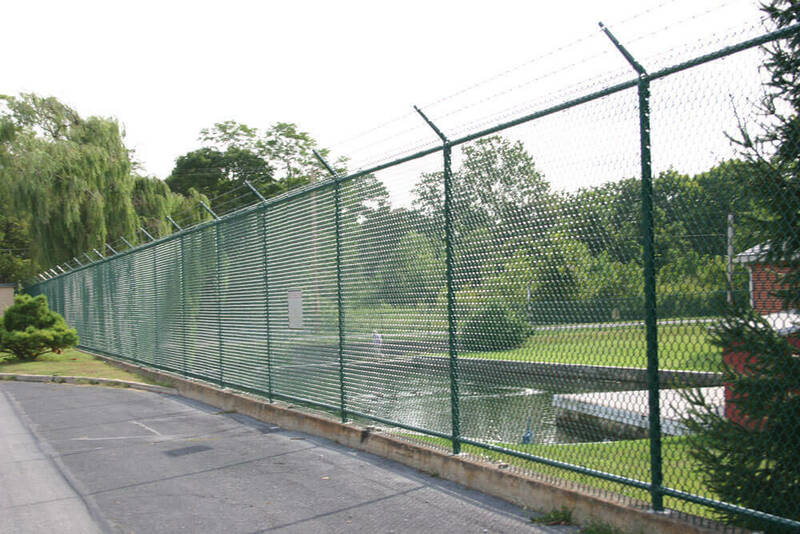 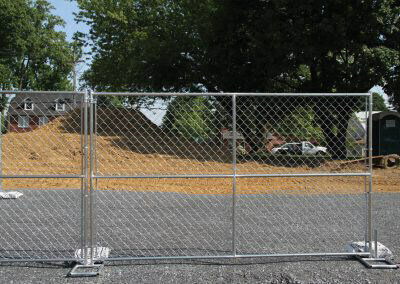 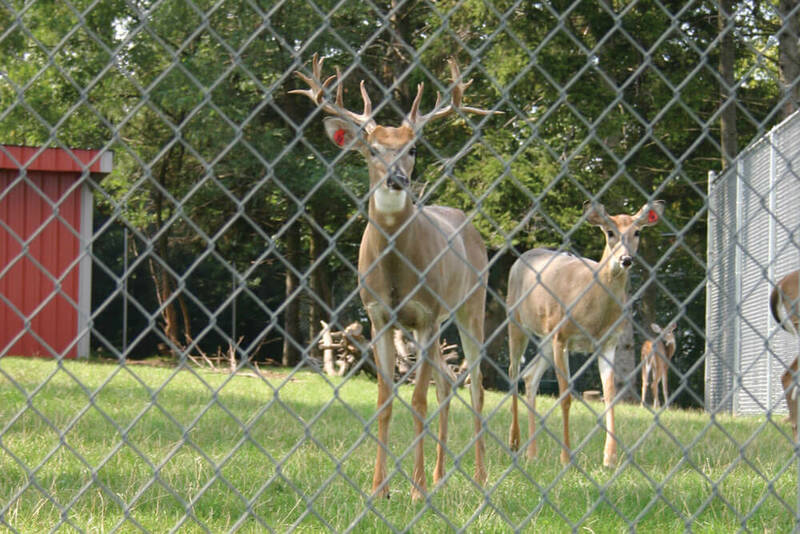 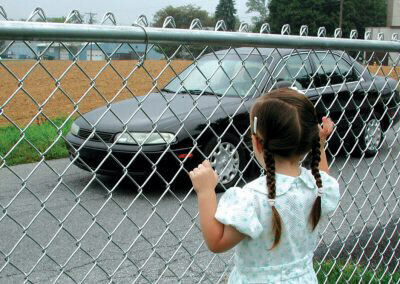 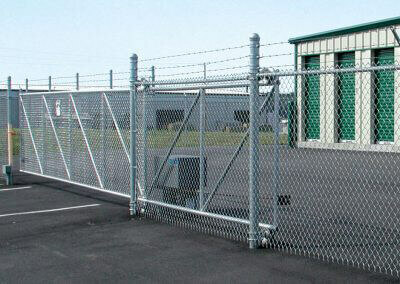 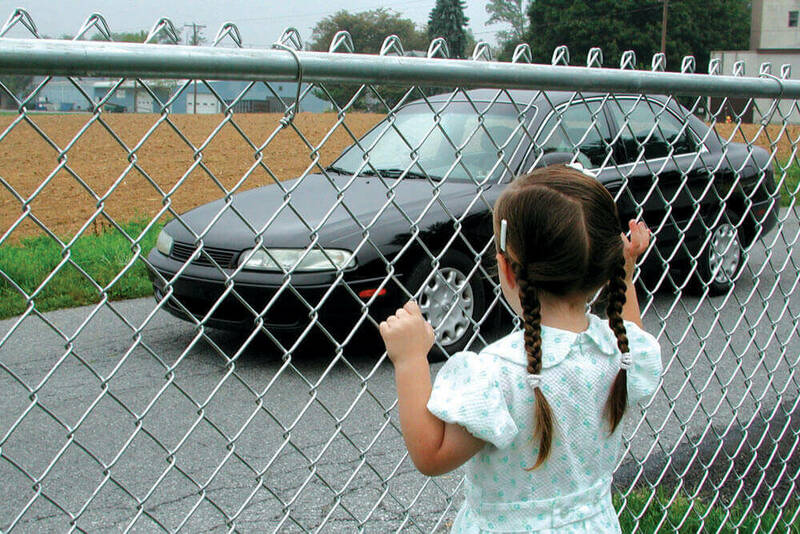 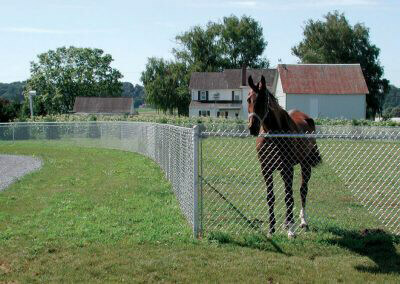 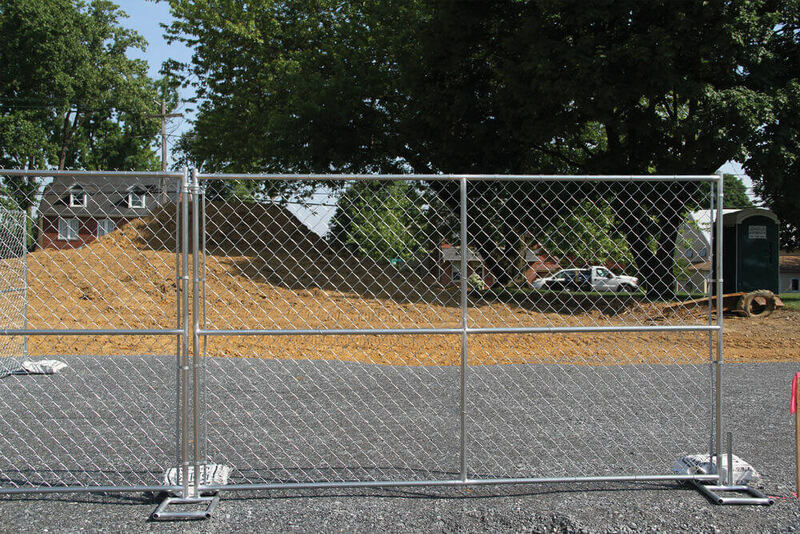 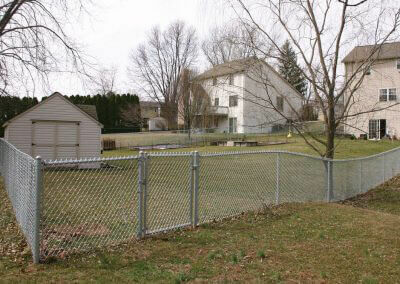 It is our goal to supply, whatever you need for your chain-link dog kennel. 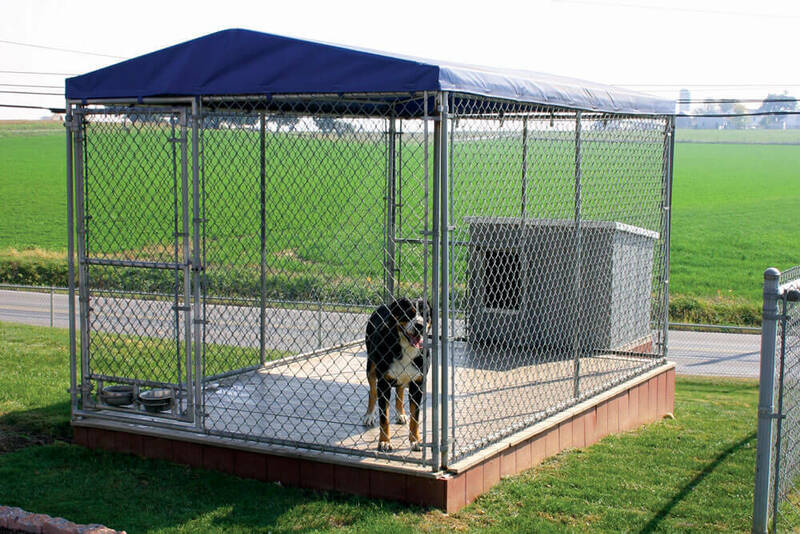 Whether it is the feeder bowls, the dog box, the dog box base, the door cover, or anything else, our workforce aims to get you the needed accessories for a complete kennel suited to what you need. 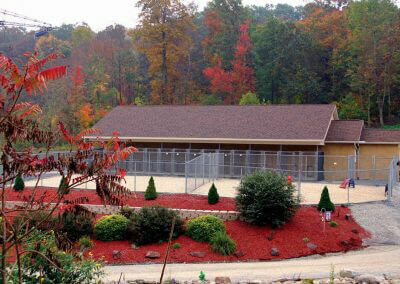 Check out some of our other projects for inspiration. 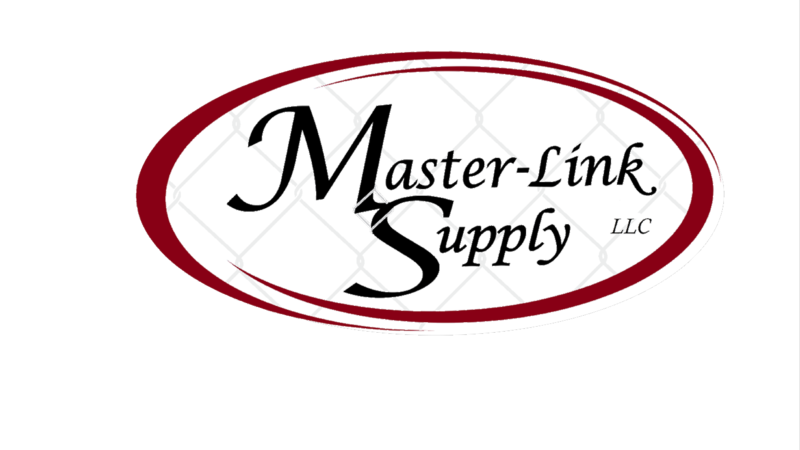 Then let us know how we can help you.